Second Child reframes technology’s ceaseless cycle of obsolescence as sibling rivalry. 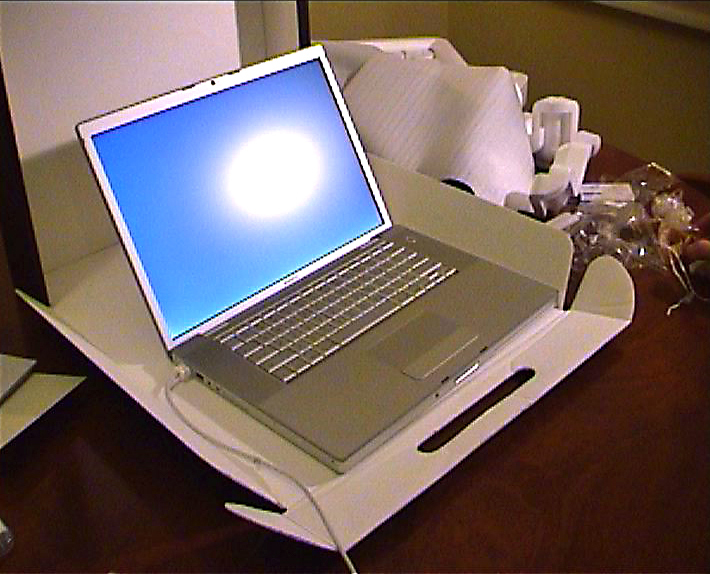 A video shows the slow unwrapping of a laptop. 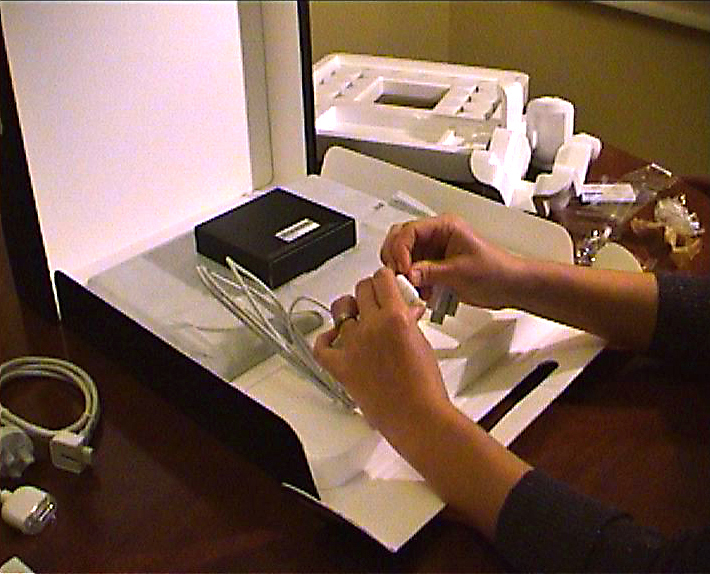 Over 11 painstaking minutes the artist carefully opens up her brand new MacBook Pro, picking the tape off the box, reading the instructions, extracting each piece of the machine from its polystyrene cradle. This unwrapping scenario is looped endlessly on the screen of the artist’s previous computer, as it ruminates on its shiny replacement.